A naturally available element, iron was melted down into a silvery/white metal in 2400 BC for the first time. Cast iron is hard and fragile, whereas wrought iron is soft and workable. Iron obtained from a blast furnace (pig iron) is an iron and carbon (approximately 4%) alloy containing trace amounts of silicium, manganese, phosphor, sulphur and other elements. Iron is more versatile than steel, which is an iron alloy. Steel is produced in basic oxygen furnaces and contains less carbon. Other elements, specifically manganese, is adjusted or added to obtain specific characteristics. Today, there are thousands of quality grades in steel. Even high-carbon steel does not contain carbon at more than 1.5% in current times, but this ratio may go up to 2.5% in certain high-alloy steel types.Carbon enables the steel to harden through heat treatment. Owing to their homogeneity in microstructure, seamless pipes provide a higher strength than welded pipes. However, their production is more expensive. 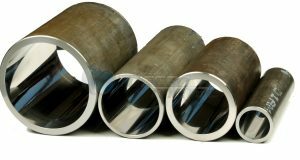 These pipes are produced through the rolling of preheated log between offset rolling mills. At high rolling speed and pressure, this configuration creates pressure at the heart of the log and produces a pipe ring by drilling into the log with a sharp rod. 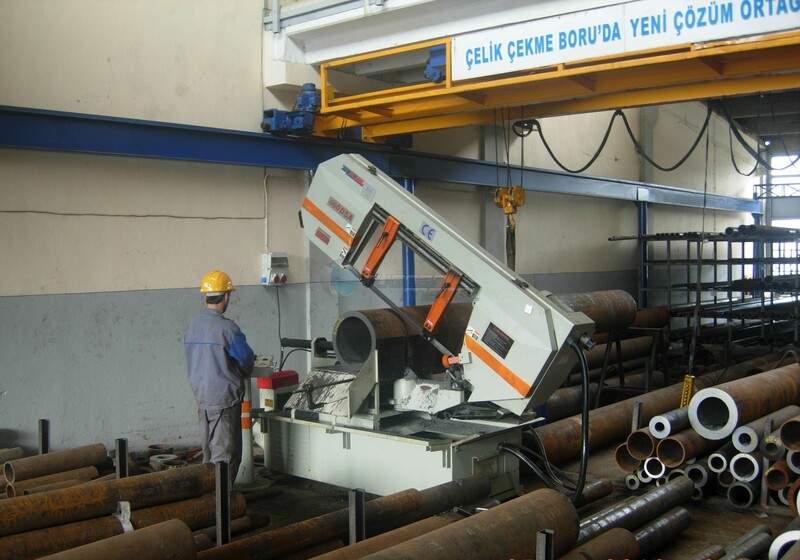 This ring is then laid on a multiple rolling stand with a mandrel or a long rod and placed into the pipe to obtain the desired wall thickness and diameter range. 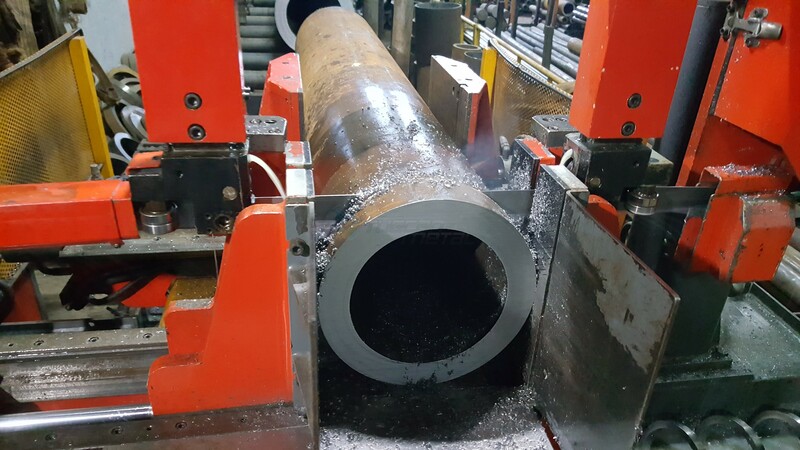 The pipe diameter can also be obtained through the use of a sizing sleeve, but for large diameter changes, the pipe is preheated and passed through a tension-reducing rolling mill. This multiple rolling stand reduces the external diameter, but does not alter the wall thickness. 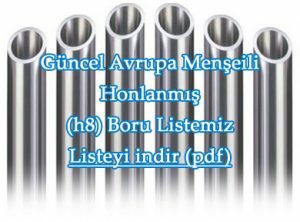 The typical points of application of seamless pipes are boiler piping, petrol and gas industries and automotive transmission components. 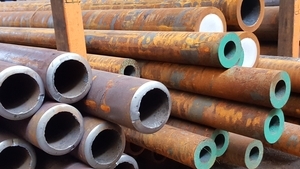 Welded pipes are produces from hot-rolled or cold-reduced sheet, sheet metal or plate. 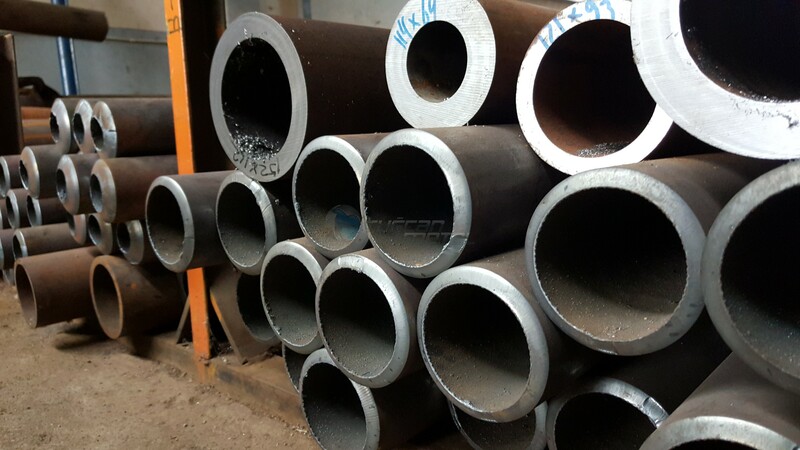 Small- or medium-diameter pipes are produced at continuous and multi-roller facilities that receive sheets from heating before length-wise welding and bend them into circular cross-sections. The pipe can be cold-drawn later from the moulds to reach the exact dimensions. This process is cheaper than the seamless process, but generally provides a lower mechanical and pressure performance. 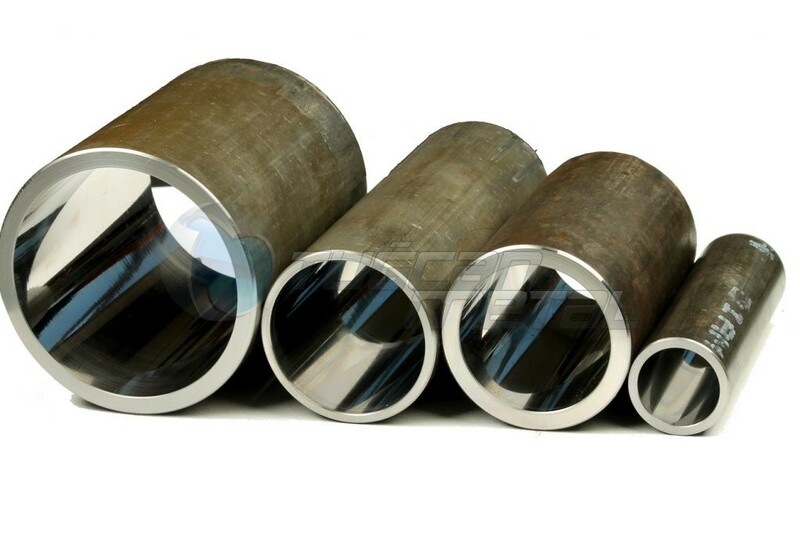 Large-diameter pipes are produced from lengthwise-cut plates. The plate is bent firstly in a “U” form and then in an “O” form. To reach precise dimensions, the material is welded before mechanical or hydraulic expansion, which constitutes the “E” stage of the EOE process. 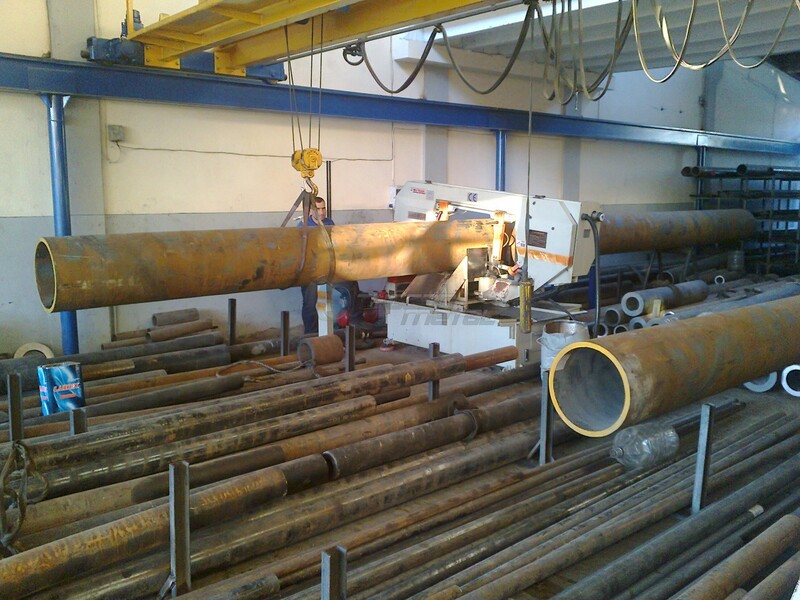 The diameter of these pipes can be in the range of 400-1,600 mm. 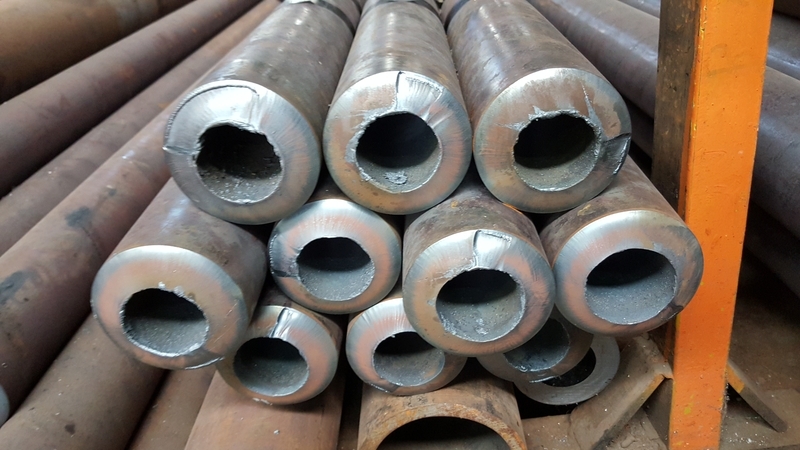 Spiral-welded pipes, on the other hand, employ the hot sheet bent through a rolling mill to produce a hollow spiral and then, the final product is obtained through welding. 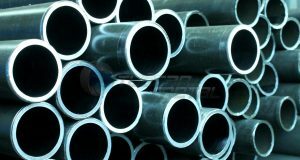 Although the production of these pipes is cheaper, their integrity is lower than conventional welded pipes. Their diameter can be up to 2.500 mm.